It’s been a while since I was hiring at a startup, and recruiting at a startup is very different from hiring at a big company. At Yahoo! Search, it seemed like we were constantly hiring. I did an average of 5-8 interviews a week. It was a never-ending drumbeat of resumes, interviews, and offer letters. Now, I wasn’t always the hiring manager. I only hired a handful of product managers in my time there. But somebody was always hiring a product manager and I was usually on the interview team. The first thing you notice at a big company is the amount of specialization. At a startup, everyone does a little of everything, so you need strong generalists. More importantly, it’s hard to predict the future, so you need people who can adapt. You might think you’re hiring somebody to work on something specific, but that something might change in a few months. It doesn’t work that way at big companies. Usually when you’re hiring you have avery specific role in mind, and the likelihood that that responsibility will change is low. Lots of people were hired at Yahoo! that probably wouldn’t have been appropriate at a startup. I recall a lot of post-interview conversations that went something like this – “well, I’m not sure they’re the perfect candidate, but they do seem suited for this very specific role, so let’s hire them.” That may work fine at a big company, but it’s deadly thinking at a startup. I started my career as an engineer and advanced pretty quickly into engineering management. During the bubble, I probably hired over one hundred engineers. I learned a lot about hiring, mostly by making mistakes. When I transitioned to product management I was able to apply some of my experience hiring technical people, but I also learned a whole new set of lessons. Last week a friend called to say he needed to hire a product manager and wanted my advice. I realized there’s not a lot of good information out there about interviewing PMs (there’s not a lot of good information about product management in general). More to the point, there’s not a lot about what you should look for in a product manager no matter what kind of environment you’re in – startup or big company. So I thought I’d pull together some of what I learned. Product management may be the one job that the organization would get along fine without (at least for a good while). Without engineers, nothing would get built. Without sales people, nothing is sold. Without designers, the product looks like crap. But in a world without PMs, everyone simply fills in the gap and goes on with their lives. It’s important to remember that – as a PM, you’re expendable. Now, in the long run great product management usually makes the difference between winning and losing, but you have to prove it. Product management also combines elements of lots of other specialties – engineering, design, marketing, sales, business development. Product management is a weird discipline full of oddballs and rejects that never quite fit in anywhere else. For my part, I loved the technical challenges of engineering but despised the coding. I liked solving problems, but I hated having other people tell me what to do. I wanted to be a part of the strategic decisions, I wanted to own the product. Marketing appealed to my creativity, but I knew I’d dislike being too far away from the technology. Engineers respected me, but knew my heart was elsewhere and generally thought I was too “marketing-ish.” People like me naturally gravitate to product management. So what do I look for in a PM? Most importantly, raw intellectual horsepower. I’ll take a wickedly smart, inexperienced PM over one of average intellect and years of experience any day. Product management is fundamentally about thinking on your feet, staying one step ahead of your competitors, and being able to project yourself into the minds of your colleagues and your customers. I usually ask an interview candidate a series of analytical questions to gauge intelligence and problem-solving ability. Generally I’ll ask questions until I’m sure the candidate is smarter than me. For some reason, lots of people I know are reluctant to do that. They argue that it’s insulting to the candidate. I think the right candidate will relish the challenge. In fact, that’s the first test – how do they react when I say “I’d like to pose some theoretical problems, is that okay?” The best of the bunch are usually bouncing out of their chairs with excitement. The super smart sometimes counter with questions of their own. What do you wish you’d known when you were an engineer? Taught me something new about my product – it could be an obvious improvement that I’d never considered, a new idea for positioning against a competitor, or a problem they encountered that needs to be addressed. When I learn something from a candidate, I know two things: (1) they’re not afraid to speak critically, and (2) they’re probably smarter than me. I want both in a product manager. Turned me on to something new and interesting – people with great product instincts tend to notice great products before everyone else. If I’m interviewing a top-notch candidate, I usually walk away having discovered something new and innovative. What’s one of the best ideas you’ve ever had? Tell me about a time when a team didn’t gel. Why do you think that happened, and what have you learned? What’s your approach to hiring? What’s the best way to work with the executives? This last characteristic may be the easiest to evaluate. 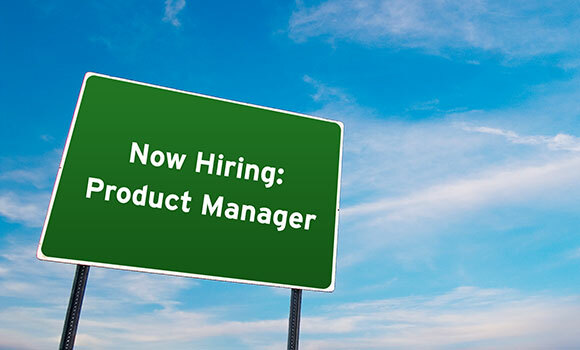 Unless the position is very junior, I’ll usually hire product managers who’ve actually shipped a product. I mean from start to finish, concept to launch. Nothing is a better indication of someone’s ability to ship great products than having done it before. Past performance is an indication of future success. Even better, it gives something tangible to evaluate in a sea of intangibles. When checking references, I always make sure to talk to important colleagues from a previous project, especially the PM’s manager and their engineering and sales or marketing counterparts. (Incidentally, these rules are ordered for a reason, and as I mentioned under #1 I’ll still take a brilliantly smart PM over a dimmer experienced one even if the former hasn’t shipped before). Thanks a lot to Ken Norton for contributing this post, originally published on kennethnorton.com. is a partner at Google Ventures. 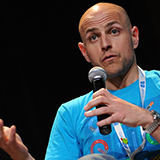 Prior to joining Google Ventures, Ken was a group product manager at Google. Ken joined Google in 2006 with the acquisition of JotSpot, where he was vice president of products.